Moving an email archive between platforms is rarely a walk in the park. This is your most sensitive, personal data we're talking about after all - you don't want to take any risks. And while Thunderbird and Windows Live Mail are both solid solutions at either end, taking care of the transfer between them can involve a lot of finicky steps. The export options in Thunderbird, while adequate, are definitely not the best place to start when it comes to preparing your data. If you need to migrate Thunderbird to Windows Live Mail, you're much better off relying on a program created from the ground up to deal with that very task. 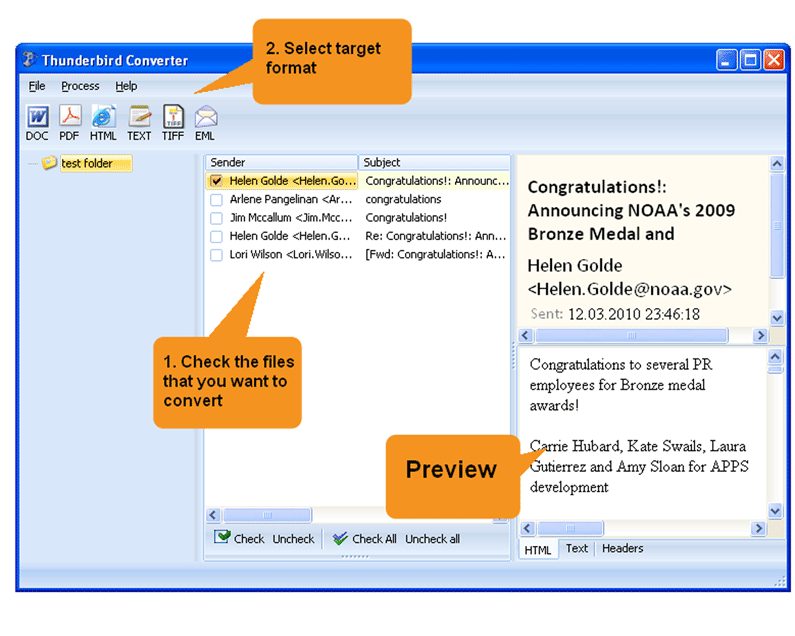 Our Total Thunderbird Converter is your shortcut to streamlining this entire process. This is a program for people who just want the job done. No expert level of technical competence is required. The intuitive interface lets you safely prepare your data for all output formats and exporting Thunderbird to EML comes as a standard option. If you need to convert Thunderbird emails quickly and efficiently, this is the tool to use. Get started with our free trial today and discover the benefits for yourself! 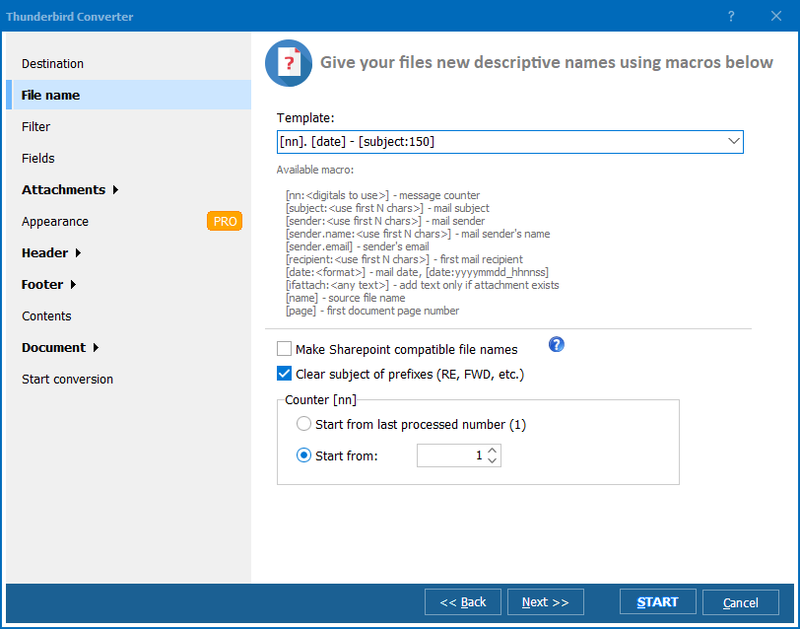 Total Thunderbird Converter handles gigabytes of data without a hitch and you have the option of limiting what is exported to a specific subset of your archive. The ability to sort by date, recipient or sender adds a further level of granularity to the mix and the extremely handy preview pane means you can be confident of the expected output throughout. Power users, or those simply seeking more advanced functionality, will be delighted with the Total Thunderbird Converter Pro version of the software. 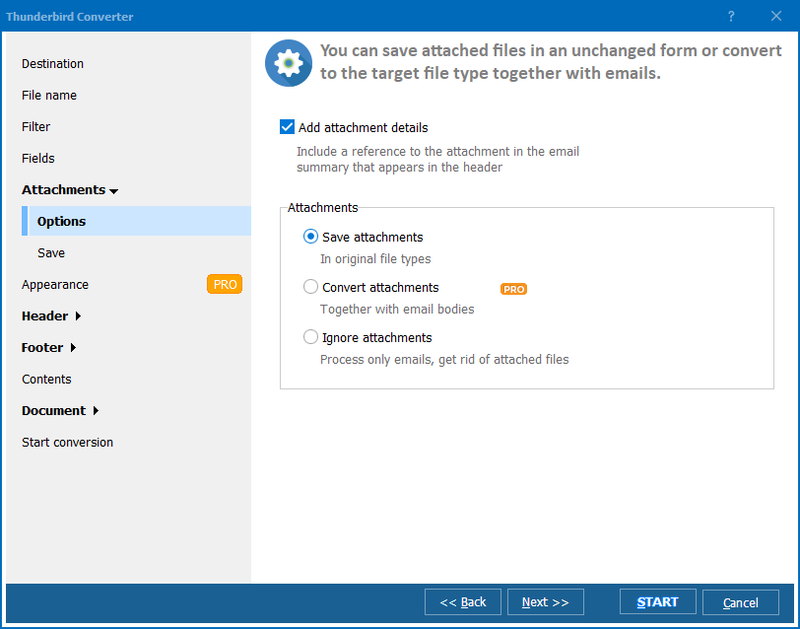 Its standout feature is the ability to handle attachments and output to a range of non-email formats such as DOC and PDF. 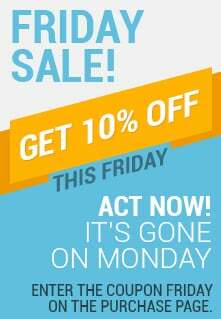 Anyone who's ever had to extract emails and data for an accountant or lawyer will be fully aware of what an enormous timesaver this functionality can be. Total Thunderbird Converter is designed with a range of use cases in mind and we were careful make sure the licensing options are similarly broad. You can select between desktop, developer and server licenses depending on your exact requirements. Download a copy today and save yourself hours of future frustration when you need to export Thunderbird to Windows Live!